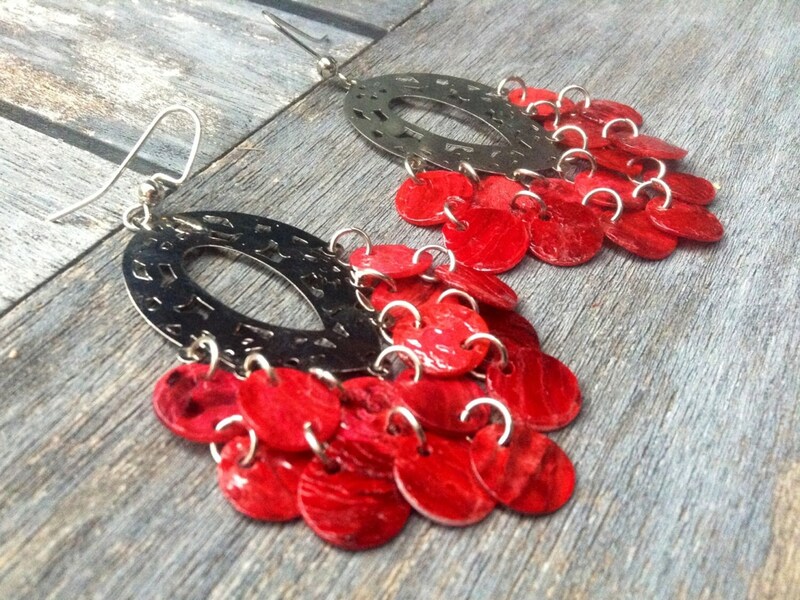 When it comes to earrings, I love them long and colorful. But others may prefer it more simple then that. 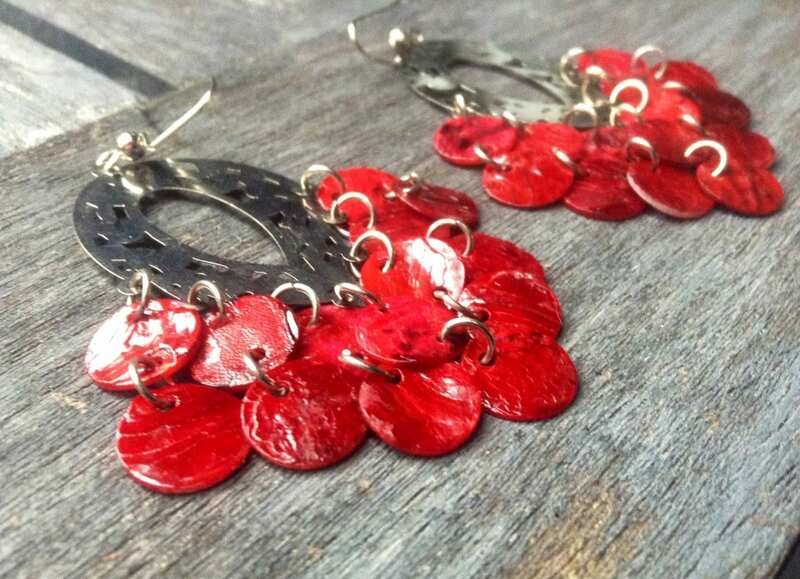 These "simply chandelier" red mussel shell lazer lace earrings are basic but beautiful. 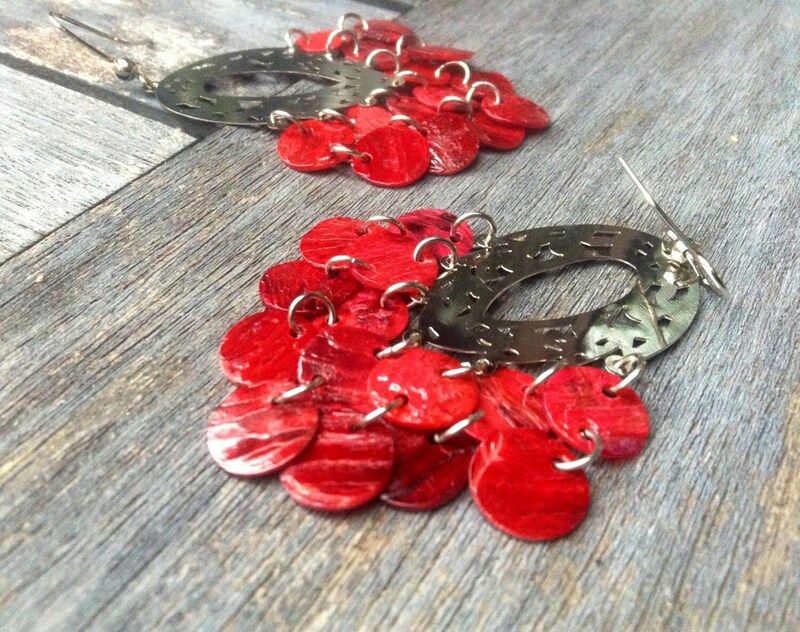 Created using 10mm shells (a dime is 17mm) & a silver lazer lace earring component. They measure at around 3 inches & are light on the ears. Available in other colors & sizes.